I have always enjoyed reading, but I have to say that my three girls helped me 'fall in love' with reading. Being a parent and spending that quality time with your children when they are young and still want to snuggle with you, is time that you will never get back. 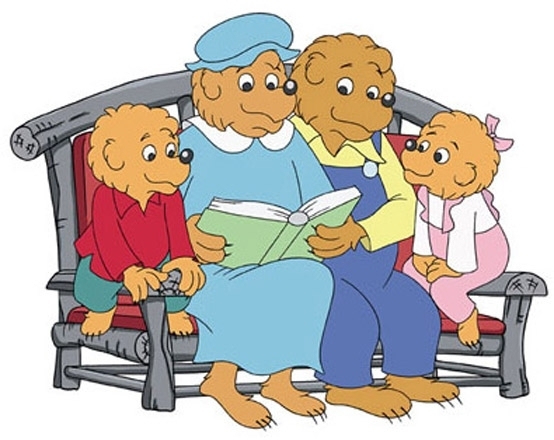 I loved reading books like 'Brown Bear, Brown Bear, What Do You See', by Bill Martin Jr. and 'Chester', by Melanie Watt. Laughing out loud at the funny parts of a story and using animated voices goes a long way in sharing your love of reading. Although my daughters are mostly independent readers now, we still make time to share books we love.